Shopping Online for Children’s Beds – What To Look For? The wall clocks are very decorative, if we choose an original design we can use it to create a different atmosphere, accentuate style, and give color to your kitchen. You must choose a model according to the current materials of your kitchen that combine appropriately with the colors. It is also important to choose a modern and creative design, but any design will be perfect for your decoration. 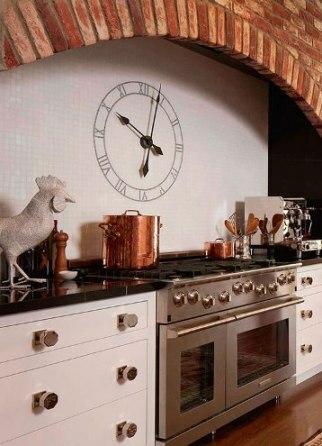 Circulars with Roman numerals: The current trend is to mix modern pieces, with old touches. It is an elegant watch, which stands out for its large figures, decorates your wall is a sophisticated model and you will find it in various colors. Clock with words: It is a more modern design has a special design with letters that are illuminated by LEDs, offering a very sharp definition. They come in wall, table, and even wristband format. Analogue wall clock: If you want to give a retro touch, this is a model that perfect for it. These are prior to electronic, and completely mechanical, these were very popular in the 70s and 80s. 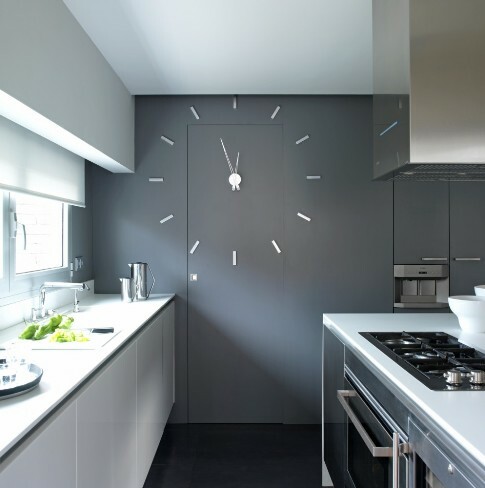 Decorative clocks: You select it according to the furniture of your kitchen, if it has straight lines, if it is a minimalist kitchen, or the furniture is made of wood, it should be adapted to them. Some are with numbers, or with sticks, these are really true works of art hanging on the wall, there is an incredible variety. Handcrafted clock: These are totally exclusive models, it can be made of wood, stone, modern and vintage. The walls are always a decorative space that we can take advantage of even in the kitchen. Everything is a matter of creativity, no matter if the design is modern, retro. Enjoy a decoration made with your own style. Dynamic compositions: A very decorative option to put several clocks on the same wall, as we do with the paintings. You can play with different formats and styles, to make it a great effect. It is advisable to hang minimum of 3 and maximum 5, you can also set the time of different countries. The choice and creativity are all yours.